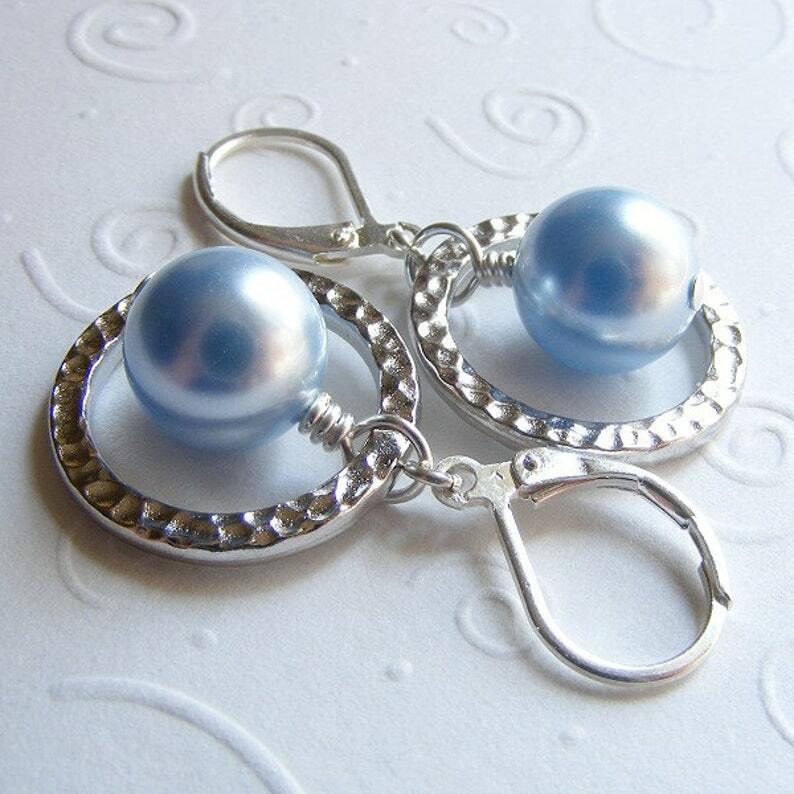 Elegant 10-mm light blue Swarovski crystal pearls are framed by rhodium-plated hammered rings from TierraCast. The pearls and ring swing freely, creating great movement. The wires are sterling silver leverbacks. These are simple and elegant for everyday outfits, or perfect for bridal parties and brides. Please convo me if you have a special color request and allow a few extra days. Length: 7/8 inches excluding ear wire; 1-1/2 inches including the ear wire.